Having the ability to precisely control fermentation temperatures can be the difference between a good tasting beer and a great one. In an ideal situation, a refrigerator or freezer is outfitted with a dual stage temperature controller that can either chill or heat when needed in order to keep the wort fermenting at the optimal temperature. The trouble is, not every homebrewer has the capital or space to have a temperature-controlled fermentation chamber. Other means of controlling fermentation have been traded around homebrew clubs and forums. 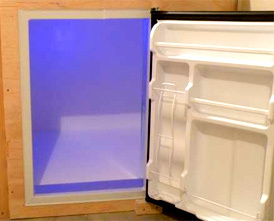 Some use heating blankets or sprouting mats to warm fermentation, while others use the “son of a fermentation chamber” or wet t-shirt trick to keep temperature down. Most of these techniques need constant attention to make sure the temperature is where it needs to be, and some still require a temperature controller which can be pricey. The solution I’ve found to be low-maintenance, affordable and effective is a submersible aquarium heater. Used to maintain water temperatures in fish tanks, aquarium heaters typically come with a built in temperature controller ranging anywhere from 65-90°F. 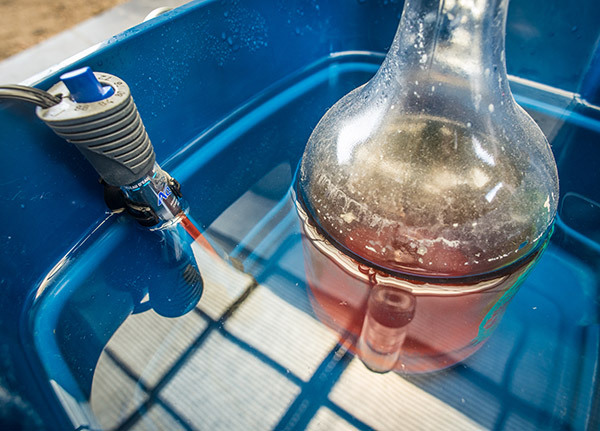 Simply place your filled fermenter in a bucket, fill the bucket with enough water to surround most of the fermenter, and add the aquarium heater. That’s it! 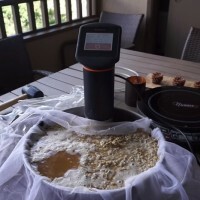 This works best if you put this setup somewhere slightly below your target fermentation temperature so only heating is a factor. If the wort ever gets too warm the heater will shut off, and you can add frozen water bottles or ice to bring the temperature down faster. 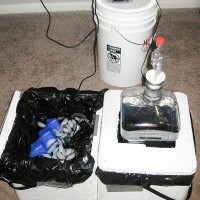 I started using this method for my one-gallon test batches with cheap 50-watt aquarium heaters. 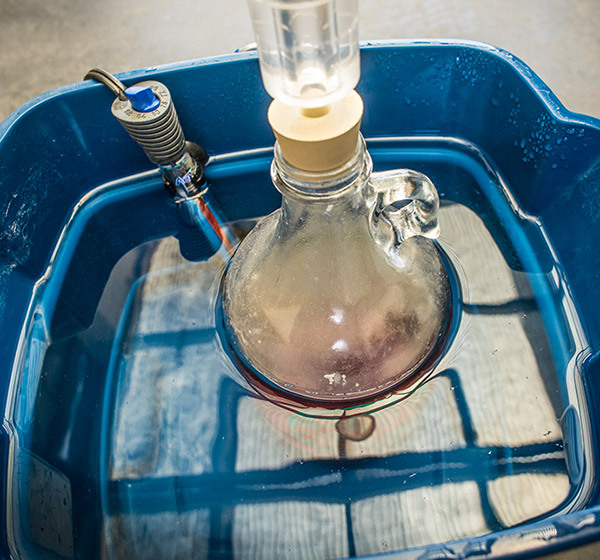 Generally speaking, the heater should have about 10 watts per-gallon of liquid to be heated—this will include both the wort in the fermenter and the water surrounding the vessel. The heaters can get pricey when trying to heat batches over five-gallons, but things like yard sales and Craigslist are you friend in this situation! 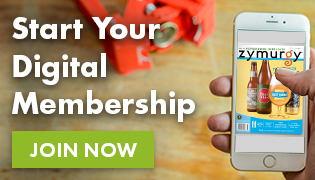 Do you have an idea for the next Homebrew Hack? Share it on the forum and we may feature it on HomebrewersAssociation.org!